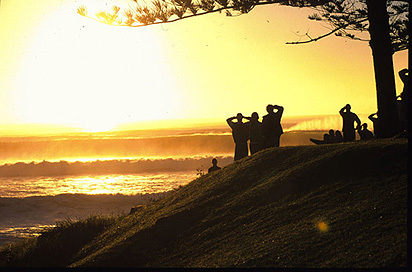 Lee Pegus is a surf photography institution. Growing up and surfing at Sydney's Manly Beach, "Pego" got his first intravenous hit of saltwater at the age of 10, perfect training for the role of copyboy he took up a few years later in the sink-or-swim world of publishing at the Sydney Morning Herald. Not surprisingly, Lee swum. He cheekily wormed his way into the photographic department and learnt his trade at the feet of the country's finest political and war correspondents. 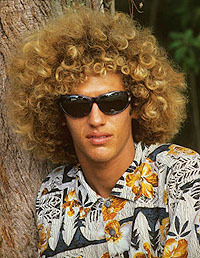 He took his knowledge back to the beach in the 70s and began shooting his passions - surf action, and the bizarre characters who lived on the coastal fringe. 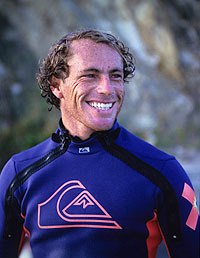 In 1985 he joined Peter Morrison's fledgling Australia's Surfing Life (ASL) magazine as a freelance then later on held the role of Photo Editor for 13 years till 2004. In that time, as the magazine's imagery went from strength to super strength, Lee's work as both photographer and facilitator became a call-sign for quality, all over the surfing world from Hawaii to the Honduras. Back proudly as a free agent these days, the legend lives on, not just from mentoring dozens of quality photographers, but through his own photography and still sharp eye. Friend to all he meets, the easy-going Aussie goes by a number of names "Big Dog", "Pegasaurus" and, but to close friends and drinking aqaintances, "The Sultan".